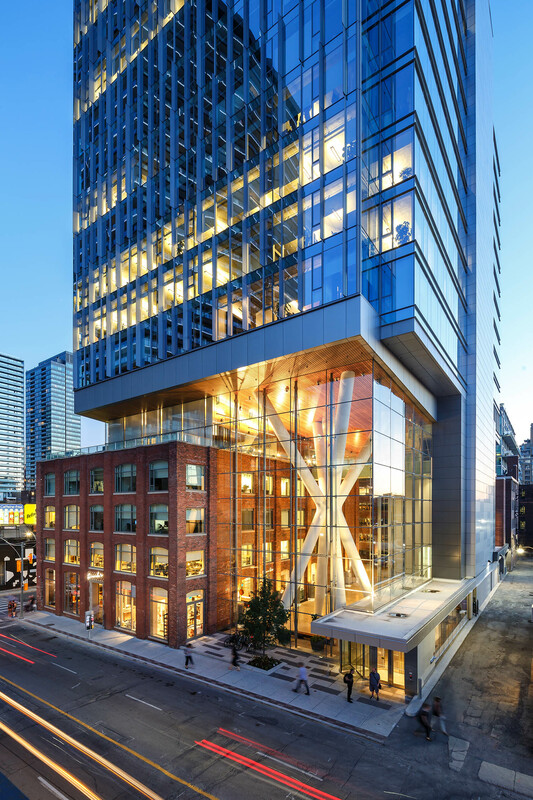 On April 3, 2017, Queen Richmond Centre West was recognized with the award of highest distinction from the Ontario Association of Architects: The 2017 OAA Award for Design Excellence. QRC-West is the result of executing one bold idea—to deeply respect the past while embracing a positive urban and sustainable future which together starts a critically important dialogue between the project and the city. This project would not have been possible without a visionary client like Allied Properties REIT who, with us, saw what no-one else could possibly imagine on the site at the time. We would also like to thank the team of consultants and all the individuals who worked to make this project a reality. Also, thank you to the OAA and the jury members for recognizing this project.